Posted on September 1, 2014 by Danielle L.
The Giver is an award-winning book written by Lois Lowry about a futuristic dystopian community of “Sameness.” The book was written in 1993 – before the teen dystopian literature era took off so I guess you could say it was before its time in two ways! Because most middle-schoolers end up reading The Giver as part of their curriculum, I don’t want to go into the novel or movie details. However, I will share that the novel was originally written by Ms. Lowry as a result of realizing her father was losing his memory. This sad, negative situation was developed into imagining a society that had lost its memory; that is, it had no past. Eliminating a “history” means that many ingredients making up that “history” must also be eliminated. The protagonist in The Giver is Jonas, an 11-year old who lives in this resulting community known as “Sameness,” a seemingly utopian society where everything is the same and everything is equal. Jonas, through a developing uniqueness, is able to see past this “sameness” and perceived utopia. After 18-19 long years of hoping and trying to bring the novel to the big screen, Jeff Bridges, who plays The Giver in the movie, successfully premiered the movie on August 11th and opened it nationwide on August 15th. I have seen it twice: I attended a special showing on premiere night and then saw a regular showing about a week later. I had been anticipating the release of this movie since last August when I first learned that Taylor Swift was going to play a small, but important character role of “Rosemary.” As a Swiftie and a lover of Lois Lowry’s Giver Quartet (of which The Giver is the first novel), my excitement was barely containable! So because I saw the movie twice within one week, you probably think I LOVED the movie the first time and went back to enjoy it a second time. Not exactly . . . 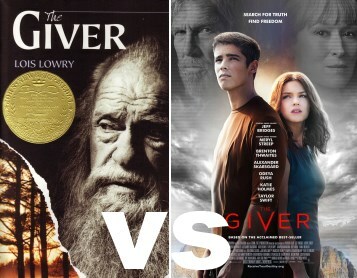 I was actually disappointed when I saw The Giver movie the first time. I thought the beginning was very rushed. I was annoyed by the changes made in the movie. I sort of expected the movie to be a bit more accurate because I had read they kept writing, discarding, and rewriting the screenplay in those 18 or so years. And I was extremely “let down” that the anticipation of the movie was over. When I saw it the second time, I went into it expecting to be disappointed again. (I had promised my friend to see it with her.) Surprisingly, I found I liked the movie this time. I really did!! So what changed? Yes, compared to the book, the beginning is rushed. But you can’t fit a 200+ page book into a two-hour movie. So, I guess I’m okay with that. The “rushed beginning” still set the stage for the movie which was what it needed to do. As for the changes in the screenplay . . .all the people involved, including Lois Lowry, agreed that the movie stayed true to the book’s storyline. So who am I to get upset with the changes? Yes, the movie is different than the book. But that’s not necessarily a bad or negative thing. And as for being “let down” . . . I left the movie the second time feeling more satisfied, happier, seeing the positives more, and appreciating the movie for its differences. I actually LIKE the movie and hope that the other Lois Lowry books in The Giver Quartet also find their way to the big screen! 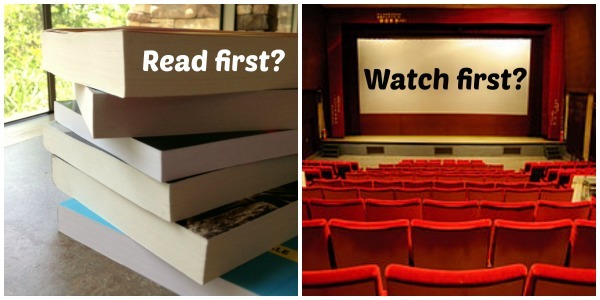 Books and Movies: Watch or Read First? Posted on April 21, 2014 by Danielle L.
Have you ever wondered which is better: Read the book and then watch the movie, or watch the movie and then read the book? If you ask your friends, chances are everybody will have a different opinion… unless you have friends like my sister, who would rather just watch the movie and not read the book at all. 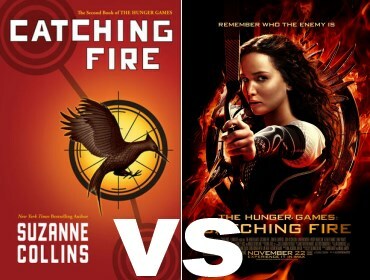 When comparing a movie to a book, you notice all of the differences. Considering most movies are about two hours in length, and it usually takes longer than two hours to read a book, I don’t think this is fair. Rather than trying to pick one over the other, I think it’s better to appreciate both of them for their differences. Watching the movie before reading the book that it was based on gives you the opportunity to get interested in reading the book. Another benefit of watching the movie first is that you can be captivated by the movie without having anything spoiled for you. However, when you read the book first, you can imagine the characters and scenes in your head because you don’t have somebody else interrupting it for you. An alternative is the movie-book sandwich. You watch the movie, read the book, and then watch the movie again. This works because you can still be captivated by the movie and captivated by the book (because the book usually has more detail and differences), and when you watch the movie again you notice more subtleties and feel more adept. I recently did this with Johnny Tremain. Johnny Tremain is a historical fiction novel written by Esther Forbes who was awarded the Newbery Medal in 1944. Ms. Forbes’ inspiration to write this novel was to help remind war-torn America during World War II about the principles of freedom that America was first founded on. Walt Disney turned it into a movie in 1957. The fictional character of Johnny Tremain interacts with key people and events of the American Revolutionary War. Ms. Forbes’ message of “so every man can stand up,” is beautifully communicated in her novel. I watched this movie, read the book, and watched it again. The first time I watched the movie adaption, I thought it was a pretty good movie. The second time I watched it, I noticed some differences. Lots of characters were not included, a song was added, there was a plot change (Johnny does fight with Rab in the movie but not in the book), and a horse (which was a sort of main character) looked very different than its description in the book…But the biggest difference I noticed between the book and the movie is that the movie seems to be the book sped up. You could tell very much so that this movie was based on this book. However, lots of characters and details were left out and/or changed, probably to make the movie adaption shorter. Overall, the book was very good and educational while still being exciting and entertaining. The movie stuck pretty well to the book, with a bit of Disney added to it, of course. I recommend the book to ages 11 and up, whilst I recommend the movie to ages 8 and up. 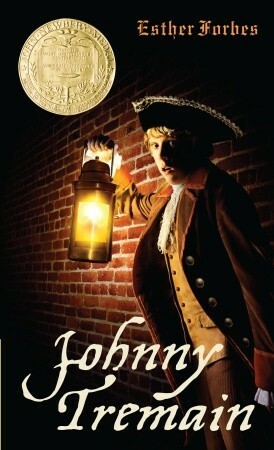 If you choose to read/watch Johnny Tremain, I hope you enjoy it! (And be sure not to miss the special features on the classic Disney DVD.) Learning can be so fun! The movie Catching Fire came out in theaters on November 22, 2013. Being a Hunger Games fanatic, I thought the movie was absolutely phenomenal. Oftentimes a movie is made about a specific popular series of novels– however, the movie is not always an absolute representation of the novels. This commonly angers the fanatics of certain series, because the movie should and could have been better. For example, many times the film industry skips important scenes or even worse- they add their own scenes in the movie. This is tragic for the series fanatics because we do not get to experience the exciting novels fully with the movie. In most cases, the novel is always better than the movie, due to its abundance of detail. Keeping this thought in mind, Catching Fire was a fascinating movie. I have never seen a more accurate representation of a novel until this movie got released. Especially since the first movie, The Hunger Games, was great but still excluded some important scenes, I was extremely surprised by Catching Fire. Catching Fire included all of the important elements of the series, including enough background information so that viewers who had not read the novel understood the movie. This is often a problem that a movie does not provide the viewers with enough background information. However, this is not the case with the hit Suzanne Collins series. The Catching Fire was an absolutely satisfying movie representation of the novel. Editor’s note: This book-to-movie adaptation is getting so much love on the Mission Viejo Library Teen Voice! There’s plenty to discuss, so check the previous posts here and here for other bloggers’ viewpoints and let us know what you thought of the movie! 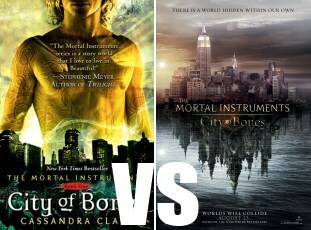 Posted on September 11, 2013 by Rabani S.
All my friends and I are major fans of Cassandra Clare’s Mortal Instruments series, so it was no surprise that when The Mortal Instruments: City of Bones movie came out, we were thrilled. Despite the awful reviews of the movie, we decided to see it soon after it was released. I had expected the movie to be horrible based on the reviews, but it exceeded my expectations. It wasn’t as good as the book, but it was still an average movie. The book tells the story of a girl living in New York named Clary Fray. She’s an extremely artistic girl with a sensitive best friend named Simon. One day, Clary and Simon go to a club. Clary sees a boy being murdered by a vicious girl and two other boys. No one else can see the murderous trio. Clary tries to forget about what she saw, but she sees one of the boys at a coffee shop the next day. At the same time, she gets a call from her frantic mother. Her mother tells her to stay away from her home. Clary runs home to find her house completely ransacked; her mother gone. She encounters a crazed animal-like creature, which she manages to kill. She finds out that the boy she saw in the coffee shop is named Jace, and that he’s a Shadowhunter. Shadowhunters save mundanes, or regular humans, from demons that roam the world. Clary discovers that the most dreadful Shadownhunter, Valentine, has captured her mother. She is thrown into a world of vampires, Shadowhunters, demons, warlocks, werewolves, and faeries and needs to rescue her mother and a special cup that Valentine is after. The cup can create Shadowhunters but is very dangerous. The movie was similar to the book, but there were some differences that can’t be ignored. The actors all fit the character descriptions very well. However, I wish the movie had been a bit more lighthearted. The book was really funny and had several light parts, but the movie was way too fast paced and serious. The romantic tension in the book was extreme in a good way, but in the movie it fizzled out quickly. I really liked the costumes that the characters had, and the man who played Simon (Robert Sheehan) acted really well. Overall, the movie differed a bit from the book and was a little too gray, but for a diehard fan like me, it was enjoyable enough to recommend it to others.